Despite an improving economy, 20 percent of households in the Deep South reported that they struggled to buy enough food for themselves and their families during 2016–2017, according to a new report released by the Food Research & Action Center (FRAC, a national anti-hunger advocacy group). Mississippi has the worst food hardship rate in the nation, with 22 percent of households reporting they have trouble putting food on the table. 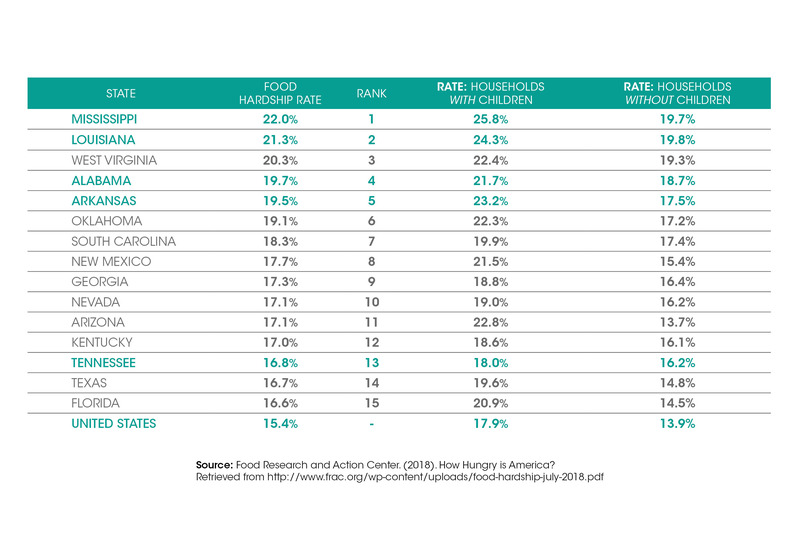 States in the Deep South rank among the top 15 in the country for highest rates of food hardship. See Table for comparison. The food hardship rate in the Deep South is considerably higher in households with children, 22 percent, as compared to households without children, 18 percent. Throughout the Deep South, HOPE is working to alleviate food insecurity for rural households. 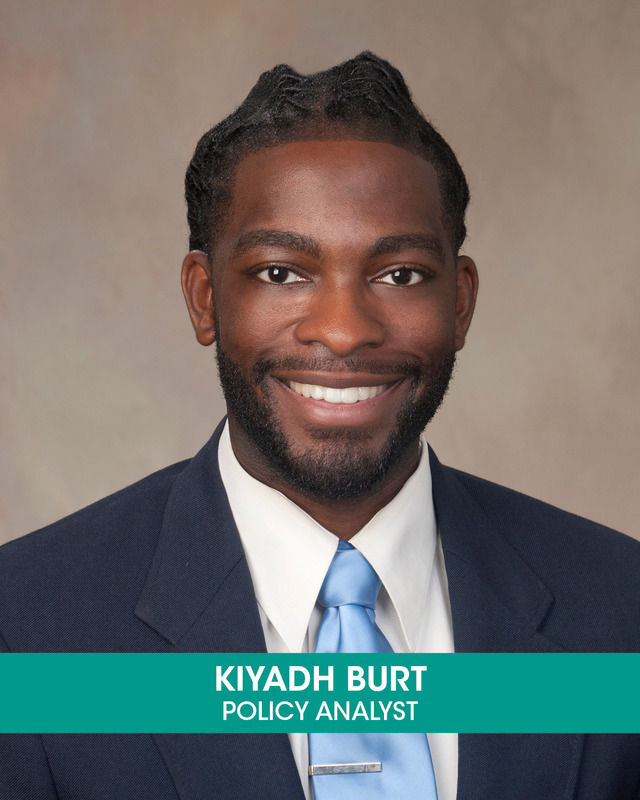 The Mid South Healthy Food Initiative was designed to increase the number of grocery stores in underserved communities. Through this program, HOPE has financed 11 healthy food projects, like Up in Farms, and directly invested or leveraged more than $60 million for food access in economically distressed areas across the Deep South. Now, more households in the Deep South have access to affordable, healthy foods. Strengthening investments in efforts like the MSHFI program can build the number of families who have the opportunity to access quality foods, regardless of the community in which they live.